Assuming the sign up bonuses are the same in two years. They could halve, and I personally think Amex will change the rules again to favour loyalty. It would be nice to see a yearly bonus that increases with each year you use your card. 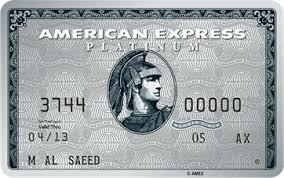 American Express are a very large global company operating in lots of markets. Have you seen them offer increased loyalty bonuses in other countries? Yes, agree that could be an idea. MBNA did that a few years ago. A staged spend, 10k aa miles for the 1st 1k,spend, followed by 20k miles for a further 10k spend, and another 20k for a further 10k spend. A lot,of us got those 50k aa miles then. In fact we added to,them, as plan to,use them for Hawaii at some point. However, as declined as usual, so had to keep adding to the pot from spg. But we have enough now. Amex could do something similar. They could do something similar, but based on the information we have to hand a determination can be made on the probability. Yes. Valid point. There’s too much talk on here about abusing the system rather than maximising loyalty. Cancel all your Amex cards in the hope that they’ll welcome you back in two years with the same loyalty bonus? Confused to say the least. Cancelled my partners ba classic card in Aug with a view to getting back premum after 6 month. Checked with amex on morning of 21st and told bonus still in play. Applied at 08.00 and was approved. Saw article on bonus shortly after. Rang amex their staff seemed as confused about “family group” entitlement. Have been told by 2 people at Amex (on the 23rd) that we can apply for Amex preferred rewards gold credit card and still get the bonus, even though I still hold a BA classic card and my partner held one 6 months ago, as this is not in the same “family” as the ‘BA cards’. I was told they would confirm this in writing. Someone seems to have their facts wrong. Give it a try ring them on 0800 917 8047. Can anybody provide the correct I found please. Just checking whether the Tesco credit card which offers avois points through MasterCard is another additional card worth having? This is really on a spending only basis when Amex is not accepted. More an everyday card. Would love your views and whether extra points from cartridge recycling etc is actually worth it. It’s such a poor earner, but if needed just for non amex spend, it’s ok, but not the best, of course. Just make sure to always double dip in Tesco, pay with amex, and scan clubcard or credit card for your clubcard points. I use Tesco debit card for any non Amex spend. Works out 1 avios per £3 for non Tesco spending (worked out in multiples of £8 increments £15.75 only 1 avios £16.25 2 avios ) Also paid my tax bill with it. Just curious, why would Amex incentivise you not using them for 2 years? Does this change affect the gold -> platinum upgrade bonus? The Gold is now a Credit Card, the Platinium remians a Charge Card. Because these are two very different products there is no upgrade and therefore no bonus unless you still happen to hold one of the older Gold Charge Cards. They both earn MR points. And Amex can define its families as it likes, I would have thought. If you still have amex gold charge card you could only upgrade previously to plat, not sure now..
Shame the visa/MasterCard earning levels are low. For example, I don’t understand the interest in the IHG card. Looks like a 0.8% return on spend. Use the free night at a top InterCon and it is worth £250. Any UK recommendations – The ones near me are all mid range grotty ones! Not much point going for just the one night though. I suppose that you could treat yourself to one night in the Interconti and then move to an HI or similar where the points price may be more sensible? Get your partner a card too. Quick question – I had the Gold Charge Card and then applied for the Companion Gold Credit card, for the bonus. I’ve now cancelled the charge card. Do I get any referral bonus on the free Companion Gold Credit card? If not, (or it’s a rubbish amount) could I get the new Gold Rewards Credit Card for free (how long do you have to wait, not to pay the first year fee). Thanks in advance! Creation are pants to deal with. Let’s just hope it appears! Regarding travel insurance to have either of the HSBC Premier credit cards requires a Premier current account that also comes with free worldwide travel insurance. So if people go down that route it does cover some of the big ticket items that are in the Platinum card. Is it still the case that you need to pay you taxes etc with Amex when redeeming a 2 for 1? If so, that keeps you tied in until you’ve secured your redemption flights. It has to be “a” Amex. I’m in that situation currently. Holding just short of the £10k spend, waiting to trigger it until the last minute. It’ll then be another year or so before I use it probably, so I can’t cancel my card (as it will be my last remaining Amex) for a long time yet. Does the AMEX have to be in the name of the person holding the 2-4-1 voucher? Just wondering if I have the voucher but pay taxes with my wife’s AMEX is that acceptable? I’m planning on getting one of my daughters to open an Amex account then use her card to pay taxes on the 2 4 1 I’ll have in about August but won’t use ‘til Dec this year for travel Christmas 2021. Then i’ll have started the 24 mos clock for me running in Aug rather than Dec IFSWIM. God, talk about wishing your life away! Also, will sign her up for all the allowed cards to get bonuses and have supps in my name so I can rack up the spends for her. She’s in our HHA so we’ll get the Avios… eventually! True. Article amended to reflect this. Rob – all this sounds sensible except it doesn’t cover the issue of needing not only to pay the taxes/charges on a BA Amex card but also to continue to hold it at the time of travel which generally will greatly extend the 24 month period. It sounds like this rule is going to come in to play even if it has been ignored up to now. Also, assuming people want to earn the 2-4-1, in any event the 24 month period only starts from the date you cancel, so in practice the period of being ‘out of the market’ is greater than 24 months and there is no card other card than BAPP that earns as many Avios (specifically) during your ‘out’ period which should be factored in to the calculation. Finally, it seems that the new 24 month waiting period is something of a compromise vs the position in the US (lifetime) and in some other countries where it is up to five years, so I don’t know that you can be that confident of getting the ‘welcome’ bonus in the next cycle if they extend the look back period again. Of course, they may also increase the sign up bonus and ongoing earning rate which ought to be the corollary of what they are doing now. Not only does Amex not do name verification, ba.com is incapable on seeing what sort of Amex you are using. Correct that they don’t do name verification, but the card and type (eg BAPP vs Gold) is easily identifiable. From the BA end, the voucher number is in fact linked to a card number. We book a few F open jaw tickets with 2-4-1 requiring a call to BA. Although I am authorised to speak with BA on her account to use her voucher, I always pay the taxes on my own BAPP card, but last month was told I had to use the card number linked to the voucher… regrettably I think their IT is getting savvier. but is it them just saying that without checking the ‘card number linked to the voucher’? When I get refunds on her shop purchases for my wife, the cashier nearly always says it has to be back onto the card used for the original purchase (and that can usually be checked on the receipt) – but 9 times out of 10 I just stick in my own debit card and there’s no check, no issues arising. They are telling you the Ts and Cs, not whether their IT will detect which card you use. What’s interesting though is – did they let you use her card to pay the taxes? 9 out of 10 cashiers compare the card to the 4 digits on the receipt when I try that. For the 10% who don’t, I obviously stick in a debit card. If you really want to be sneaky I guess you could use some sleight of hand to swap the card after showing it. Been reading with interest the comments on this recent change and the talk of the new 24 month cycle. In reality is it not a lot longer. Cancel card then wait 24 months from date of cancelation. Possibly up to 5 years from getting one card to the next with the new 1 Amex policy? 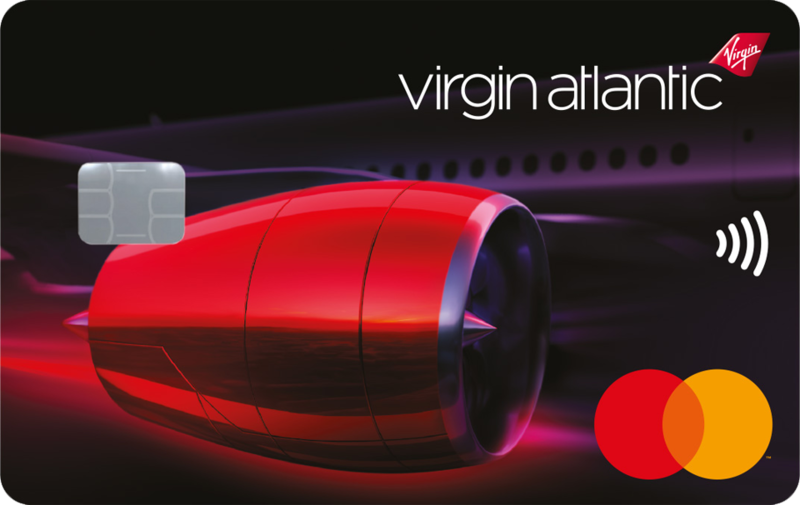 Keeping the ba amex until you fly is a complete red herring in my view. As Rob has pointed out Amex do not use name verification when you pay so you can use any amex. All these rumours have come from Jeff who has a rationale that he was right about the end of churning so he must be right about keeping the ba amex too. I think most people could see the sign up bonuses were unsustainable for amex but making you keep the ba amex until you fly seems less clear from a business and payment technology perspective for amex. If people make enough predictions some of them may become reality eventually. (While they casually ignore all of their incorrect predictions.) As an example we all know all frequent flyer schemes devalue in the long run. The people who predicted 2 years ago that avios would devalue imminently were clearly wrong. I really hope you are right about the red herring, but personally don’t fancy the risk. These things don’t seem to get better. Amex is almost certainly losing the BA contract anyway, so it will make little difference medium term. No, because you can ignore what Amex says – as soon as you’ve triggered the 241 you can cancel the BA card. You will need AN Amex to pay the taxes when you book your 241 flight but it doesn’t have to be yours, yet alone a BA Amex. Does the Kris Flyer scheme allow you to buy airmiles. I was collecting Marriott points to eventually convert to KF but if they don’t allow you to buy miles I will have to abandon that strategy. Was saving for a future trip back to Oz and wanted to do the SIN-BNE leg on Singapore. Now they have increased that leg to 62k we will struggle to reach that. May end up converting what we have saved already to Avios. I have 90k and hubby has 44k Marriott pts so far. My long term plan is now out the window me thinks. Hey Liz I’m saving up for krisflyer too, I think the other option besides marriott and the bonus when moving a large amount, is Heathrow rewards…might be worth a try if you know someone going to Heathrow? Not entirely sure how it will move to your krisflyer ,but Heathrow to spg, spg to krisflyer might work. I’ve already got 3800 Heathrow rewards sitting for transferring and hope to do another 3000 bonus offer in June when enroute home from USA but still won’t be enough without huge amounts of Marriott pts. We don’t stay in Marriotts – was just storing the points because of the KF 3 yr rule. Dilemmas dilemmas dilemmas! We managed to get rid of ours last year on a couple of shortish flights while on our way to/from NZ/AUS. Only a few hundred left which we won’t be adding to…I need to check if KF will take them back for charity use. How do you move Heathrow rewards points is someone else’s account to your krisflyer? Is it through spg? 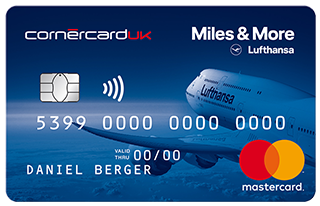 You can move KF miles direct from Heathrow Rewards to your own KF account. No need to go via SPG. There’s a few comments above about self-referrals. Not something I’ve come across before. Is this for real?